This is Room 88A. 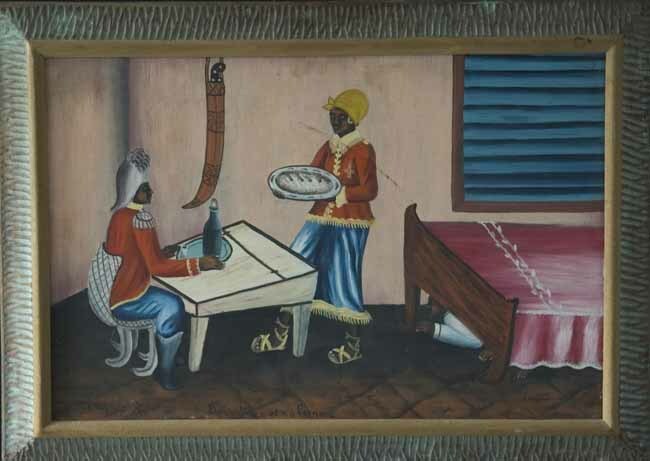 A Haitian Painting by Celestin Faustin. 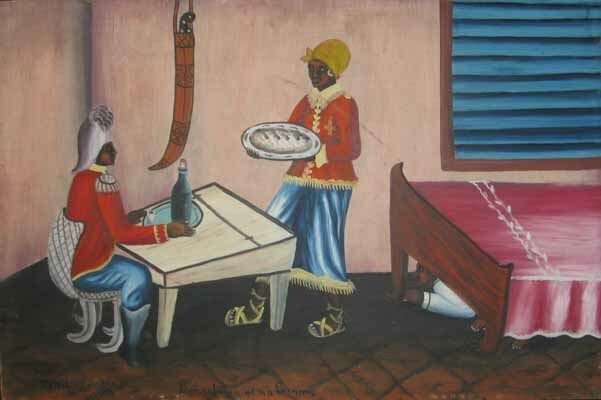 Faustin was born in LaFond, Haiti a mountain village above Jacmel, and evolved into one of the greatest of Haitian surrealists. This is an early painting. 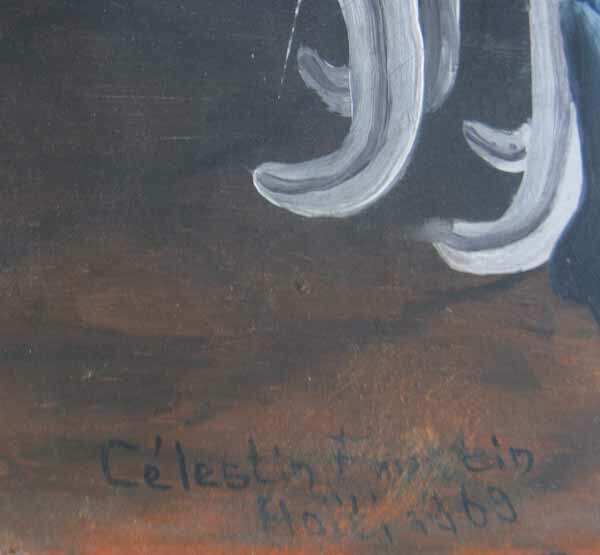 * The painting has a 5 inch scuff but is otherwise in good condition and even with the scuff, it looks venerable hanging on the wall.